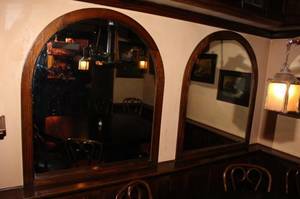 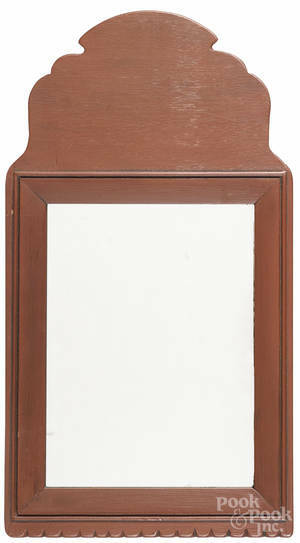 Two large mirrors contained within a wooden oak frame with a round arched top. 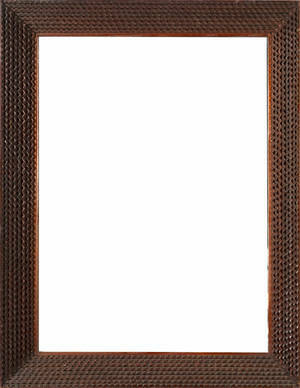 Purchaser responsible for removal. 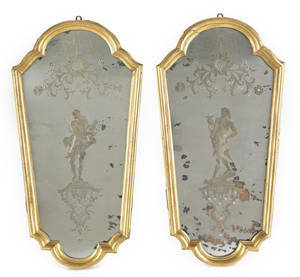 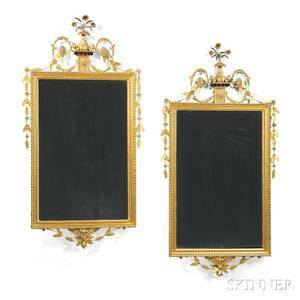 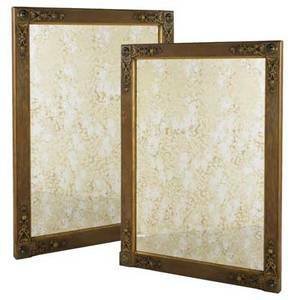 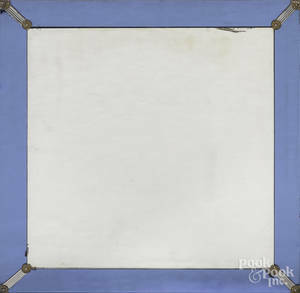 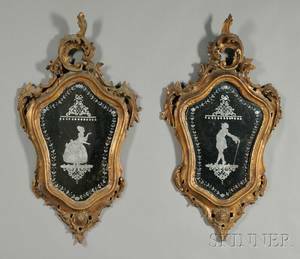 Edwardian; pair of large wall mirrors, ca. 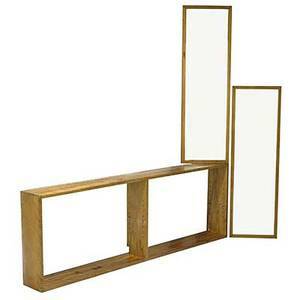 1900; parcel gilt oak and mirrored glass; unmarked; each: 62" x 46" 3"
Marcel breuer; pair of full-length mirrors in birch frames and a matching bookshelf unit, ca. 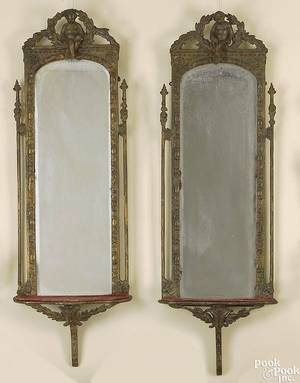 1938; provenance: rhoads hall at bryn mawr college; mirrors: 48" x 15" x 3/4", bookcase: 24" x 72" x 8"
Pair of Italian giltwood mirrors, mid 18th c.